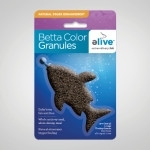 Designed to remove organic waste from a bowl or small aquarium. This waste water can be simply delivered to a nearby house plant providing natural fertilizer. 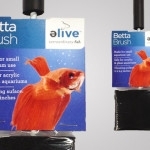 The Elive Betta Brush helps keep your bowl or small aquarium clean and beautiful. 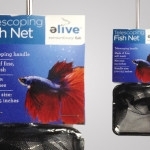 Designed with a telescopic handle and soft mesh material, our Telescoping Betta Net is functional and versatile. Instantly removes harmful chlorine and chloramines from tap water. Also neutralizes ammonia and heavy metals. 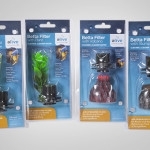 Elive air operated Betta Filters were designed to filter water in small bowls and aquariums, improving the water quality, clarity and ultimately providing a healthier environment for your Betta fish. 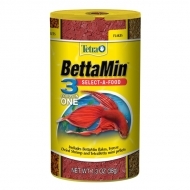 Made with whole anchovies and shrimp, this premium betta fish food provides balance daily nutrition. The Elive Glow Cube features a .75 gallon clear acrylic aquarium with a “glow in the dark” full lid and blue LED light. The Elive Betta Cube is an ideal betta habitat. 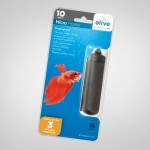 This easy to setup fish environment can be placed almost anywhere in the home or office. 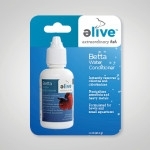 This pre-conditioned water for betta fish helps to insure that you are providing your fish a stable environment. Time release vacation food blocks for Bettas. 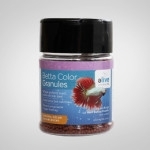 Provides essential nutrients that Bettas need. Betta food pellets appear as block dissolves. 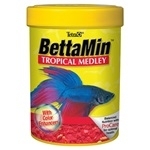 Betta Basics™ is designed to provide the optimal environment for both betta and plant. 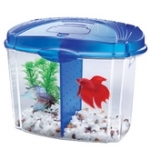 Betta Basics™ removes any chlorine, chloramine and ammonia. It buffers the water to a pH of 7.0 and promotes vigorous health and growth. 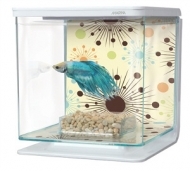 A single betta fish aquarium featuring customizable background. 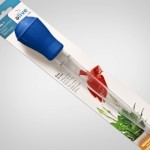 The Betta Bowl Aquarium Kit is the perfect tank for children and parents alike. 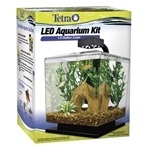 This 1/2 gallon starter aquarium kit takes up little space, so it is ideal for any room and decor. 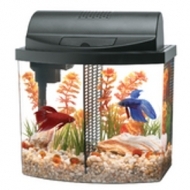 Clear, plastic tank provides a beautiful view of your underwater environment and is virtually unbreakable. Holds 1.5 gallons.